A growing number of dairy farmers are choosing to open their gates to visitors, offering a chance for everyone from Auckland to Amsterdam to enjoy a taste of rural life. And of course, these on-the-side tourism ventures also offer a handy revenue stream. Farm tourism is one way we, as a sector, can help improve the public’s understanding of dairy. It gives non-farmers an insight into dairying and country life, and lets them see first-hand how farmers care for their environment and their animals. 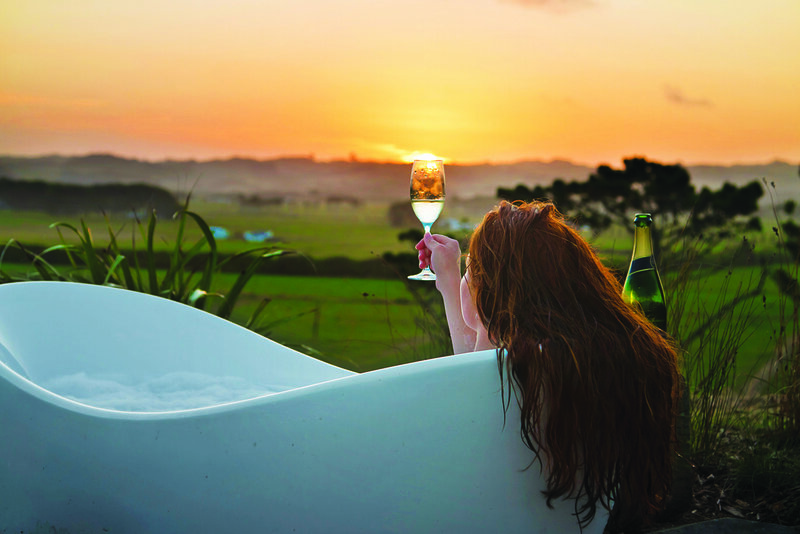 Perched high on a hill overlooking the Waikato River, Te Papa Eco Cottage receives rave reviews from guests. 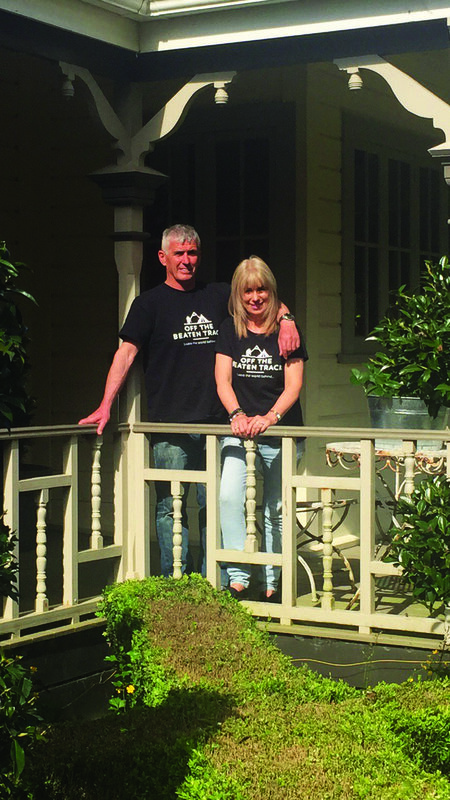 So do the hosts, Stu and Kim Muir, who farm at Aka Aka, near Pukekohe. 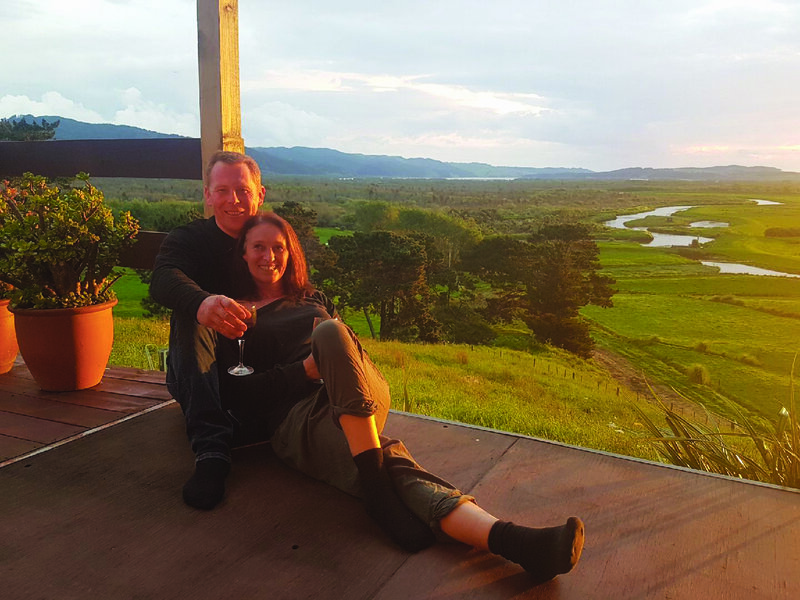 Stu and Kim travelled extensively before they had cows and kids, so it was a natural step for them to share their home with overseas visitors and other Kiwis. They recycled timber on the farm to inexpensively build what a recent guest described as “an absolutely gorgeous little slice of paradise”. 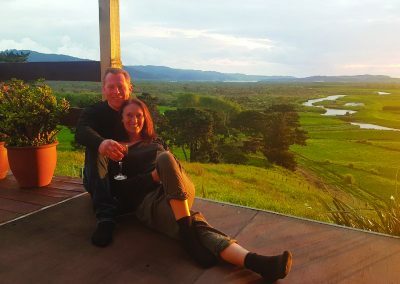 Te Papa Eco Cottage, which runs on solar power, welcomed its first paying visitors 18 months ago. Guests staying in whitebait season can use the gas cooktop to whip up a batch of fritters. Stu and Kim carry out ongoing pest and weed eradication, plus extensive planting of mostly native species. The cottage provides a secure funding stream for this work, says Stu. He adds that with tourism and farming the mainstays of the economy, farmers are ideally placed to take advantage of both. The couple also host school visits through DairyNZ’s Find a Farmer programme (see page 4). To give school children and other guests an up-close view of the spawning ponds, and to see the abundant birdlife, the Muirs are now planning to build a bridge and walkways. 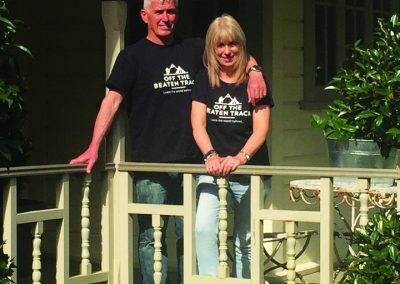 Another agri-tourism business that’s connecting holiday makers with a taste of authentic rural New Zealand is Off the Beaten Track (OTBT), owned by Waikato dairy farmers Roy and Michele Connell. Some years ago, the Connells were watching an episode of Country Calendar featuring a beautiful South Canterbury dairy farm with river and bush views. The only people enjoying these stunning sights were the four farm-owning family members. Dairy was facing economic challenges at the time, so Michele started wondering how farmers could share their land with others and reap an economic benefit. The Connells carried out some market research and that gave them the confidence to launch OTBT, an online platform allowing farmers to offer accommodation to visitors. The concept was received enthusiastically by the tourism and outdoor industries, local councils, and other rural sector organisations that have provided support. Michele says anyone who owns a slice of paradise can earn money by sharing it with visitors. “Not only is belonging to OTBT financially rewarding, but it’s an opportunity for farmers to show off their wonderful properties and meet new people. ‘”With most of our beautiful country in private ownership, OTBT is about connecting lovers of the great outdoors with undiscovered locations and experiences. “This needn’t be confined to land; you could use the family bach, the hay barn with a cosy loft, or the perfect spot to park a motorhome. You can have as little or as much interaction with visitors as you wish and don’t need to provide anything additional. The only criterion for being part of OTBT is that the location must be off the beaten track,” she says. Hamilton and Waikato Tourism chief executive Jason Dawson says he’s all for developing more ‘open the farm gate’ concepts. Jason says dairy farmers opening up their gates, land and homes to be explored by visitors not only brings a positive economic gain, it also creates social and cultural benefits for farming families and visitors alike. Thinking of opening your gate?